As a result of the rulings, you may even be able to bring loaded weapons into National Parks by the time Obama, a staunch gun-control advocate, takes office! And there is a limit to what he can do to change these laws, particularly at a time when support for our President-elect by lawmakers on both sides of the aisle is more imperative than ever. Nonetheless, Obama’s Transition team is claiming that he will do what he can to reverse anything not in the best interest of the American People. This is more than just a last-gasp attempt at leaving a bigger mark on an already tarnished Bush legacy; this is clearly an action that the Bush Administration has planned to take for a while. How else would most of the regulations result in various contract bids, land leases, and other auction-type scenarios that oil, gas, and power companies are seemingly all over like white on rice? I first read about the “Midnight Rules” in a recent issue of Rolling Stone, but became further interested in this wacky aspect of Presidential Transition after hearing about the actions of a University of Utah Economics student named Tim De Christopher. After learning that the US Bureau of Land Management (BLM) was set to auction off over 140,000 acres of Utah wilderness (including land within the boundaries of Arches National Park, pictured above) recently de-regulated for oil and gas drilling near the Grand Canyon, Mr. De Christopher raced down to the office on the day of the auction and instead of simply protesting, took REAL action: He purchased almost $1.7 million dollars worth of land with absolutely no intention of actually buying it. By the time all the fat cats in the room realized what he was doing, the damage was done; if Mr. De Christopher is able to make the first payment on the land he may even be able to avoid any charge of fraud, and likely will at least delay the sale of this land to oil and gas companies until after Obama takes office. One aspect of Mr. DeChristopher’s action is that he has now illuminated Bush’s Midnight Rulings for everyone – not just people who actively follow politics or dispute the Constitutionality of last minute Executive Orders. If there is anything we can take from this other than welcoming a young man into the world of civil disobedience, it is that we now have an idea of how steep of a mountain Barack Obama and Joe Biden will be climbing upon his inauguration to influence legitimate political change. In the meantime, it is best to accentuate the positive effect of Tim DeChristopher’s actions: he singlehandedly took on a large, environmentally damaging industry and saved over 20,000 acres of virgin wilderness. After doing some research, I have found a link to a legal defense fund for Tim De Christopher if he shall need it – the fund recently raised $45,000 dollars to make the first payment on Mr. DeChristopher’s land leases – and I urge all readers to at least visit the website to get a better idea of the reasons behind Tim’s actions and the issues involved: Bidder70.org . You can also visit OneUtah for more information. Bush’s intent to make the transition to a new administration aiming to change the nation in a time of deep economic crisis and foreign conflict is something to behold. How much of a patriot can Bush be if he is purposely sabotaging the efforts of an incoming president? ED: Lane Tobias is a “newBcean” who we met during the library protests. We want to welcome him to the OB Rag and look forward to reading more from him! Great first post, Lane! Welcome to the OB Rag. This story needs to be read by everyone. Excellent pick. Lane T – nice job. Back in the early 70s I visited Arches – an amazing place. Makes the Disneyland frontier park look like a kid’s rector set. Even though I was on acid at the time, the memory is still rock solid. Lane – I was thinking whether you have a photo of Tim,and if so, would have been good to have published it with your article. a real hero…for those with a extra buck..help this guy out. i cant lost everything in katrina flood. I don’t understand the no drill crowd, I don’t disagree with making these companies be clean within reason but guess what I prefer to spend my dollars buying utah oil an coal rather then send money to Venezuela and Iran. I wonder how many oil fields and coal plants it takes to equal one nuclear bomb going off in NY or DC? Stop treating energy like some sort of movement, this is for our very survival people! 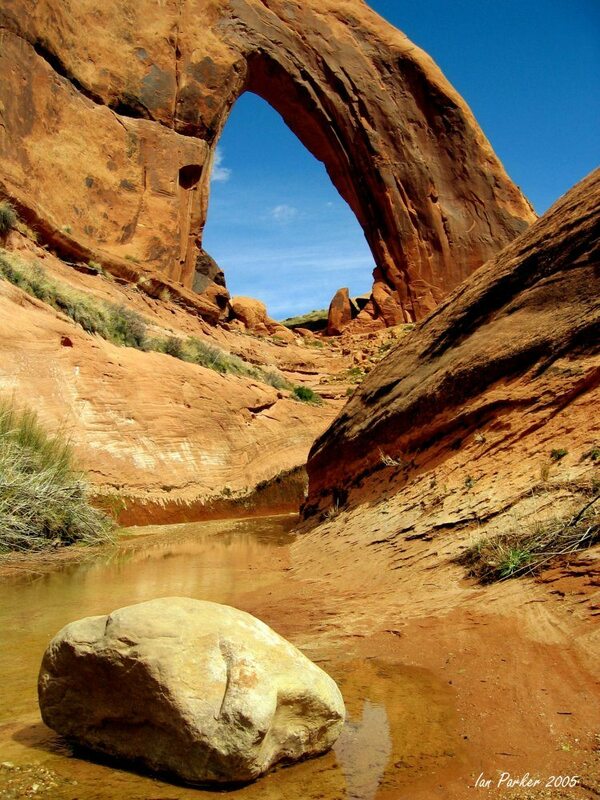 Maybe if we weren’t so reliant on oil, which we will eventually run out of, we wouldn’t have to drill and damage natural wonders like arches park in utah. FYI – we will never be able to drill and produce enough oil domestically to satisfy our needs, and will always funnel money into nations like Iran or Venezuela – unless of course, we end our reliance on oil by spending money not on wars or unsustainable sources like ethanol, but rather an alternative sustainable, renewable source – like solar generated electricity.